Coffee tables you can put photos in can have either hidden of exposed storage. Here, a lot will depend on the particular functionality you are looking for. 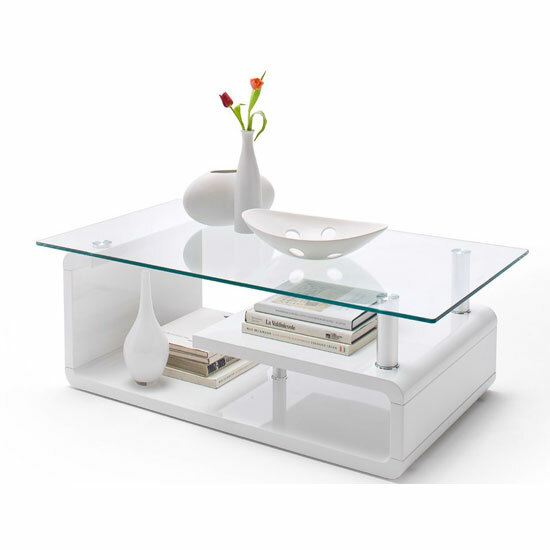 If, for example, you do not mind having your stored photos, papers, magazines or any other objects in sight, you can always go with a traditional coffee table design – a low functional shelf under the table surface. This is one of the most classic, wide spread approaches, which is why a model like this will look great in any room or interior. The downside, though, is that it is not perfect for people who do not like carefully organizing their stuff every week and would rather toss books or photos without thinking twice. If you are not the tidiest person in the world, you should better try to cover your mess up with the help of a hidden storage unit. A coffee table you can put photos in can feature drawers, which are quite useful for storing the widest range of smaller items. Some table models also have hidden compartments – you can get access to them after you lift or extend your table surface. The next thing to consider is the material. Sure, your choice will not be limited to high gloss and wood only. Yet, those are the primary coffee table materials in today’s furniture market. Plus, some combinations of both gloss and wood with glass and stainless steel are also quite common. The basic rules are simple – furniture with glossy surface is better for modern interiors, while tables made of wood are ideal for traditional living rooms. Though, to every rule there is an exception – after all, a lot will depend on model shape, design, and so on. In addition, you should never forget that even though each object in your living room has a separate value if its own, all of them should look good together. An ideal decoration pattern takes very trifle detail into the account, which is why it is better to think everything through before you start working on your living room interior. Sure, it is always possible to start with something small and find matching living room furniture later; but it will be much better if you bought all the furniture you need at once – it is quicker, easier, and far more comfortable.